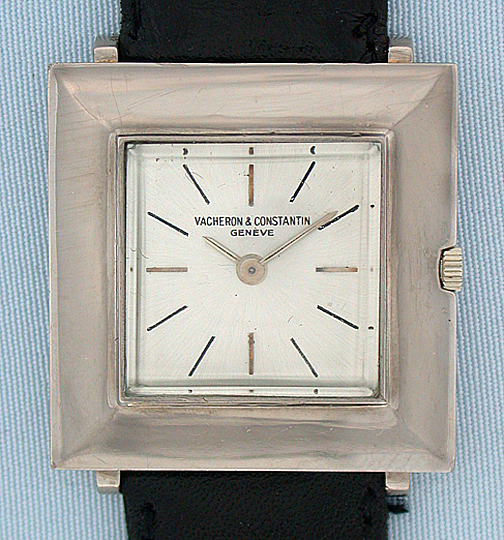 Fine and handsome Vacheron & Constantin 18K white gold vintage wrist watch circa 1961. 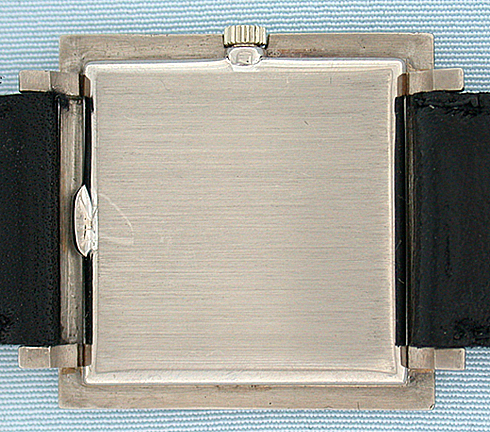 The square case with wide bezel and downward sloping lugs. Original dial with white hands. 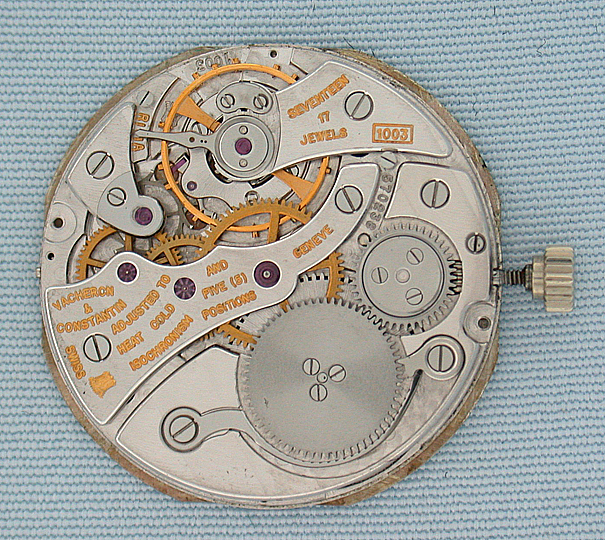 Calibre 1003 17 jewel 8 adjustment movement with 2 Geneva seals. Elegant.